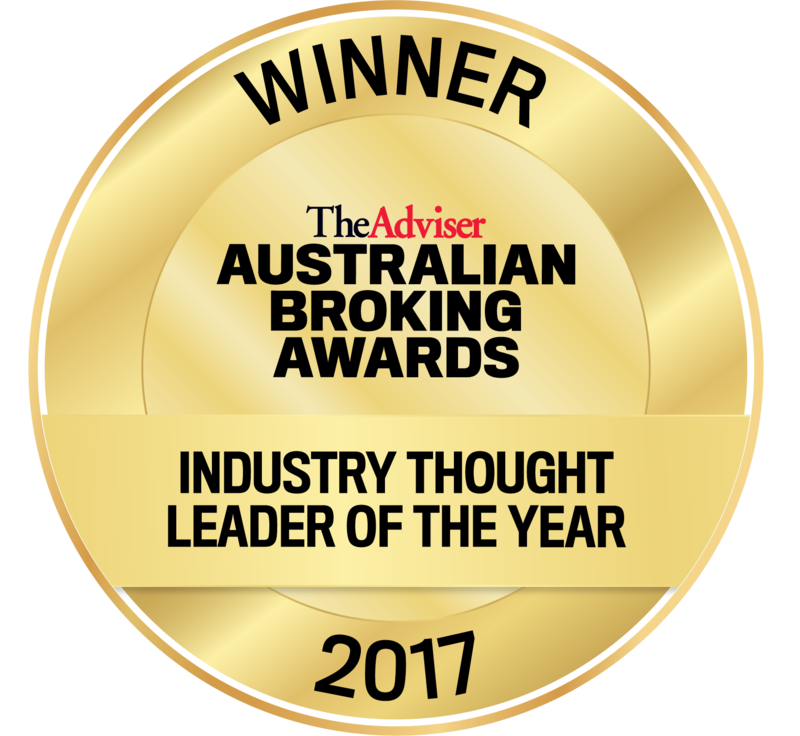 The Vow Financial team was delighted to see Glenn win this category at the Australian Broking Awards last week. The judges recognised Glenn for showing a long-term passion and aptitude for improving the industry. Clive Kirkpatrick, General Manager, Vow Financial, said "This award is a testament to Glenn's commitment to the industry, willingness to teach others and his great work in building Vow's commercial finance arm. We're really pleased to see him recognised for his hard work over many years". The reintroduction of a pricing tier for loans up to and including LVR 70% - providing clients with more than 30% equity with some very significant savings. Principal and interest rates for new business will decrease between 0.12% & 0.02% depending on new LVR bands. Interest only rates will increase by 0.30%. We are also going to write to all interest-only customers offering them to option to convert to P&I payment at no charge. These moves are in line with many other lenders, but could prompt enquiries from your clients. If you have any questions, don't hesitate to get in touch with the Group Lending team. Both MFAA and FBAA made submissions to the ASIC Review last week. While the FBAA one is yet to be made public, the MFAA have developed a media release summarising their position, and provided a link to the full document. Having read both, I can say that the industry's approach is sound and sensible. We also advocate self-regulation that will be workable for ACRs, ACLs and aggregators, as well as giving clients the best outcomes. What is clear, from ASIC and lenders, is that compliance and governance responsibilities are going to be increasingly shifted towards aggregators. As such Vow Financial is reviewing the way we operate in this regard, and will be rolling out revamped education and governance practices in due course. Sydney, June 30 2017: The MFAA has today made its submission to Treasury in response to the ASIC Review of Broker Remuneration Report, following extensive consultation across the mortgage and finance industry. The submission reflects the industry's response to the recommendations made by ASIC, including early thinking on a number of detailed, realistic solutions, and how the industry will approach self-regulation. The MFAA's submission focuses on six key recommendations raised in the Report, which were identified by ASIC as issues that must be addressed in order to reduce the potential for conflicts of interest. MFAA CEO Mike Felton said that this process would be the industry's only opportunity to demonstrate its capacity for self-regulation and the MFAA's response was strongly focused on enhancing consumer outcomes, and on remuneration structures that support robust competition. "We must provide real solutions, and improve transparency and disclosure. The time to prosecute these issues with ASIC has passed, and avoiding them is simply not an option. If we are to enhance consumer outcomes throughout the mortgage and finance value chain with minimum disruption for our members, we must embrace change voluntarily," Mr Felton said. "ASIC has conducted a well-informed review, has stated publicly that brokers drive positive consumer outcomes and contribute to industry competition, and has called upon the industry to self-regulate. However, that is not an invitation to conduct business as usual, it is a window of opportunity to implement meaningful change. "While there was no evidence in ASIC's Report that current structures decrease competition or lead to poor consumer outcomes, it did show that conflicts of interest existed and issued a call to action for the industry to make changes. The MFAA believes that these conflicts must be addressed head-on, to ensure that we continue to drive consumer trust and confidence and the sustainability of our industry," Mr Felton said. The MFAA's submission outlines the industry's views on a range of potential solutions to the ASIC recommendations, including proposed changes to remuneration structures and a framework by which they can be assessed. The MFAA is aligned with ASIC's view that the current model should not be abandoned, but must be improved and reviewed again in three to four years' time. However, further work is required to understand the potential unintended consequences of possible changes, and to ensure they do not undermine competition. In developing these recommendations, the MFAA convened a number of member forums to gather feedback and data, including the MFAA National Lenders Forum, the MFAA National Aggregators Forum, the Joint MFAA Steering Group and Broker Roundtables held in each capital city and regional locations. The MFAA has also collaborated with the Australian Bankers' Association to take a joint leading role in establishing an industry-wide working group that will oversee and coordinate the industry self-regulation going forward, ensuring there is strong dialogue and common purpose between all key industry participants. The MFAA has proposed a range of potential solutions to the six proposals recommended by ASIC, including specific structural changes to remuneration practices that could be used to improve the standard commission model, to protect against what ASIC has named 'product strategy' conflict and 'lender choice' conflict'. However, Mr Felton noted that while changes to remuneration structures are necessary, it was improved governance and oversight aimed at enhancing consumer outcomes and increasing the professionalism of the industry that would underpin successful self-regulation more than any other measure. "ASIC states in its Report that it expects 'lenders, aggregators and broker businesses to embed the principle of obtaining good consumer outcomes as a guiding factor in the design of their remuneration arrangements', and as part of their efforts to self-regulate," Mr Felton said. "The MFAA believes the first step is for industry to work with ASIC to collectively define what 'good consumer outcomes' are in this context, and how they can best be measured. Following this, the MFAA recommends a framework that would match remuneration structures with behaviours and consumer outcomes and would use data and risk-based monitoring and oversight to identify potential problems - both in systems and individuals - take remedial action and adjust remuneration as required. "To support this framework, the MFAA recommends that the industry should develop an enhanced reference checking protocol to better vet brokers as they enter the industry or move between aggregators, as well as a mechanism whereby brokers can be effectively removed from the industry for significant poor conduct. "Finally, lenders and aggregators will need to be responsible for the monitoring of brokers, using a risk-based approach that draws on both loan and performance data provided by lenders. This will require an agreed performance scorecard which aggregators and lenders can use to assess broker performance against the agreed 'good consumer outcomes'," Mr Felton said. This framework will eventually create a virtuous circle of self-regulation for the industry, through data-based self-assessment, self-correction and continual improvement to remuneration structures. 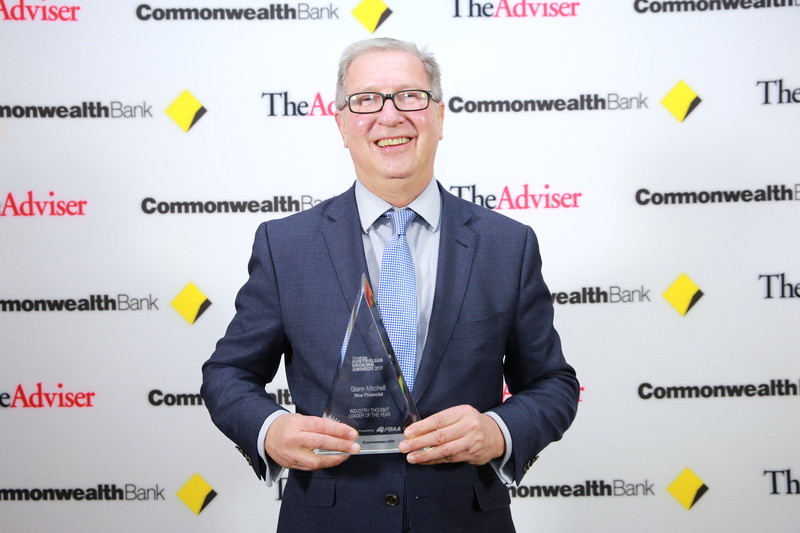 "This is our opportunity to bring the industry together to meaningfully create the potential for better consumer outcomes, to demonstrate to ASIC and Treasury that we are serious about self-regulation, and serious about change. I believe we can continue to grow a sustainable, fair and equitable system, and this process is a great start to the consultation process with Treasury," Mr Felton said. To kick off the new financial year, IMB is giving Vow Financial customers a special rate of 4.69% (for loans greater than $500,000) for a limited time. For more information, contact your BDM or download the rate card. You may know that the Vow Renew & Restart range is funded by Pepper, but what you may not realise is that the products have been structured to minimise entry costs for our customers. Rather than providing the same product with a different brand, Pepper and Vow are providing complementary products, so the one that's best for your customer depends on their needs. The key thing to remember is that by comparing the Renew & Restart product range against market competitors (and Pepper retail) based solely on interest rate, you may not be giving your customers the best outcome. To illustrate this, we have lined up the Vow Restart Ultra Full Doc loan and compared it to the Pepper retail equivalent (Advantage Plus Full Doc loan). The purpose is not to encourage you to sell one option over another, but to highlight how they meet different customers' needs, based on their short, medium and longer-term plans. Those needs will dictate which option best serves your customers' requirements. No risk fee payable for each of these LVR bands on this lending solution (Group Lending offer no risk fees up to 85% LVR in certain product types). No Title Protection fee payable, saving $400 per loan. As a general rule, Vow Home Loans will provide a lower cost of entry (sometimes substantially lower) while Pepper Money retail will have a lower end rate to the customer. The option that best serves your customer requirements is really dictated by how long they intend to keep the loan for (as many people requiring a Specialist Lending solution may be considering a refinance into a Prime product within a couple of years). The outcome is that the Vow Renew Product (for the example shown) is considerably cheaper in terms of customer total out of pocket for LVR's between 70% and 80%, and for lower LVR's Pepper is marginally cheaper. Pepper is cheaper in 12 out of 37 price points. The key point to remember is that this comparison only holds true for the example provided. If your client expects to spend 5 years in the loan product, this will sway the advantage to the Pepper Retail Product, while if they were only to spend 18 months in the product, more Vow branded product options would be beneficial for that scenario. If you have a scenario you would like to discuss, please feel free to contact the guys below. Should you wish to view the comparison of all of the near prime and specialist lending products, please contact Andrew.parsons@ybr.com.au for more detail.